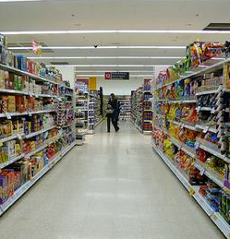 Supermarkets vs. Drugstores: Which Is Cheaper? It's always a challenge trying to find the best bargains when it comes to food shopping. Whether it’s weekly couponing, or driving from store to store, most people are on the constant hunt for moderately priced food items. But what happens when you learn that many items don't differ much in cost between supermarkets? Some consumers have turned to buying food from other locations, like Target or Walmart. Many have also started buying food items at drugstores like CVS or Walgreens. Of course people aren’t racing to the drugstore to get their produce, meats or those foods with a short lifespan, but non-perishable foods, cleaning and personal hygiene items, and household products just may be cheaper at the drugstore. Many consumers assume that supermarket prices will always be lower than drugstore prices, but is that true? Is there a substantial cost difference among foods, cleaning supplies or the other weekly items consumers purchase? To determine whether you should go to your local drugstore chain, or keep going to your supermarket, I went on a hunt to find out which offered the best prices for certain products. The first store I checked out was CVS, which has a pretty big food department for a drugstore. I first noticed a 34.5 ounce of Folgers coffee was $10.99 compared to Giant, a large supermarket chain in the Washington, DC, area, where it was $11.99. Depending on the amount of instant coffee you purchase, the small difference could really add up. A more substantial price difference was for a 56-ounce bag of Beneful Dog Food, which was $7.49 at CVS, $9.99 at Giant, and $12.99 at Safeway. So score one for the drugstore when it comes to purchasing food for your canine. And what about food for yourself? You’ve got to eat too. A can of Bumble Bee solid white albacore tuna at CVS was merely a buck, compared to Giant’s tuna that was priced at $2.39. Some products were also cheaper at Rite Aid. A bottle of Ragu spaghetti sauce was $1.99 at Rite Aid, and $2.50 at Giant. A dozen eggs at Walgreens went for a mere 99 cents, compared to Shoppers Food Warehouse, another DC-area chain, where a dozen eggs went for a $1.99. Score another one for the drugstore when it comes to buying those weekly refrigerator staples. CVS and Rite Aid both offered two-liter Coca-Colas for 79 cents and 99 cents respectively, which was cheaper than both Safeway and Giant who offered Coke two liters for $1.99. But not all the products at the drugstore were priced lower than the supermarket’s prices, and not all consumers are happy with chains like CVS. Some of our readers think the drugstore chain overcharges for some of its items. "This morning I stopped to purchase a pint of half and half on my way to work," said Elizabeth of Connecticut. 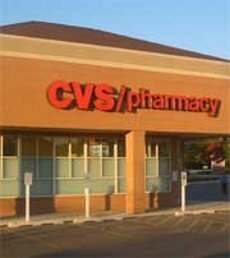 "Due to a time restraint and because of the convenience of this CVS and the early hour, I chose the CVS on Watertown Ave. in Waterbury, CT. I was appalled at the $2.59 price for Garelick Farms (a local dairy) pint of half and half! I have never paid more than $1.69 for the same product anywhere. I understand price increases today, but this was far beyond," she said. And there were other drugstore products that had prices that were far beyond. CVS asked $5.29 for its 25.5 ounce box of Raisin Bran, which is considerably higher than Giant's $3.99, and Safeway’s $4.29. Some popular juice brands were also more expensive at Rite Aid, CVS, and Walgreens. For example, a bottle of Ocean Spray Cran-Grape Juice cost $4.79 at both CVS and Rite Aid and $3.49 at Safeway. Weekly convenience runs to the drugstore for juice or other products could really add up. But in recent years drugstores have increased their efforts to lower prices and take advantage of customers coming in to buy prescriptions. Though certain drugstore items still seem to be overpriced, gone are the days when consumers can just assume that supermarket items will always be cheaper. "CVS has done a very good job maintaining a profitable mix of its front store sales, "said Steven Halper, managing director of brokerage and investment banking firm Stifel Nicolaus. "Groceries such as beer and wine have very good margins. 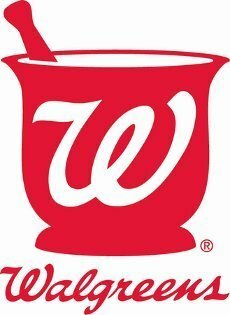 Walgreens has just introduced beer and wine, and we believe it has helped store profitability." Ultra coupon user Marcia Turner says there isn’t a set rule on whether supermarkets or drugstores have cheaper food costs. "Drugstores like Walgreens, CVS and Rite Aid generally have higher prices on grocery items, but their sale prices on those same items are also frequently less than the everyday supermarket prices." "For example, Walgreen’s here in Rochester, N.Y., has small bottles of Simply Orange brand juice for $1.79 which is not a great deal. But a couple of weeks ago they had a sale on that orange juice, bringing the price down to .99 cents a bottle, plus, there was a $1 off coupon that could be applied, bringing the final cost to the consumer down to free," she told Daily Finance. What’s certain is that supermarkets have much more variety than drug stores, so consumers aren’t held price-hostage by one brand. Having more brand options allows consumers to shift back and forth between products that go on and off sale. Also, though both types of stores had club memberships that offered discounted prices, all of the supermarkets seemed to offer more club card discounts. Only a handful of items were discounted at Rite Aid, Walgreens and CVS. But as Turner suggested, drugstores may have fewer items on sale, but offer greater discounts once those items get marked down. Another difference I noted is that supermarkets provided a better shopping experience, as aisles were cleaner and the items were more organized. 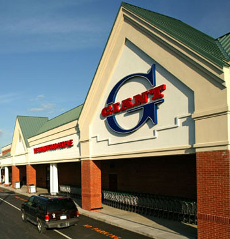 However, the lines and the waiting time in some of the grocery stores were almost not worth the marked down prices, especially at Giant. The drugstores offered shorter lines and a faster wait time, but some of the products on the aisle were scattered and looked a bit disorganized, namely at the Rite Aid I visited. CVS was the tidiest of the drugstores, and offered more products than the other locations. 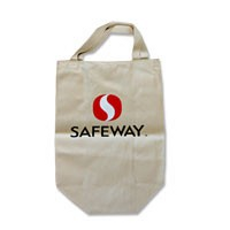 Out of the visited grocery stores, Safeway had cleaner aisles and more organized shelves than Giant and Shoppers, but it also had the highest prices among the three. So which location is best when it comes to getting specific food and household items, drugstores or supermarkets? It really depends on the particular week, so consumers should always check circulars at each place to see which offers the biggest discounts for the product you want to buy. Consumers shouldn’t just assume that every item will be cheaper at the supermarket; one should really do a bit of homework. Some people also believe in the whole "time is money" concept, so for them, it might make sense to jump into a drugstore for a quick purchase of milk or toothpaste, even if it’s slightly more expensive. But of course, that’s completely a personal call. The great thing about having both locations at your disposal is that you can bounce back and forth between drugstores and supermarkets, whenever one store type offers products that are just too expensive.